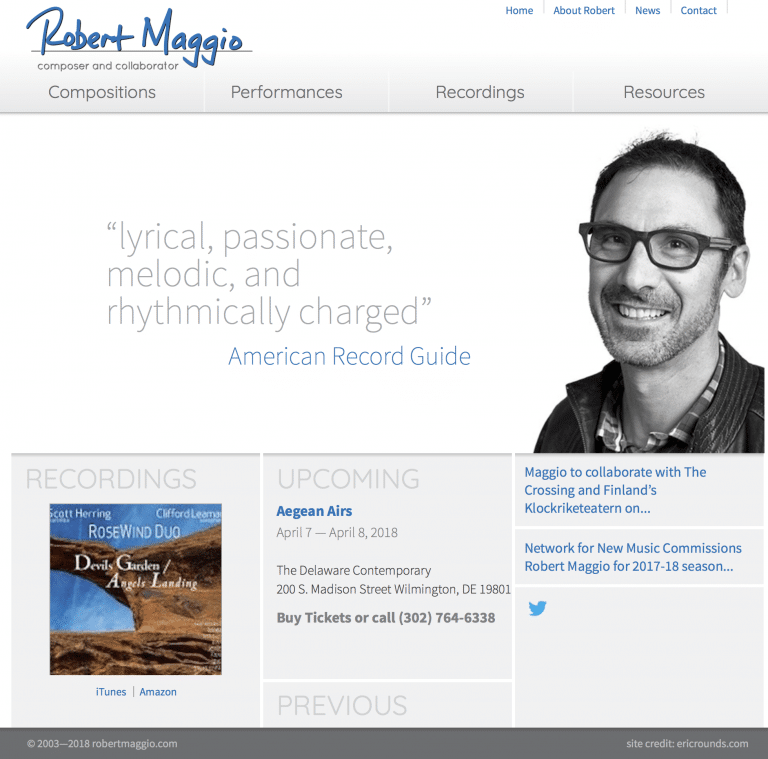 Robert Maggio's experience and breadth of work deserved a respectful representation. I created this site to showcase and connect his compositions to the performances and recordings they contained. Robert continues to maintaining this site, and is doing a fine job if I say so myself! Robert’s previous site was dark, difficult to read and navigate, and used an inefficient layout. The new site improved on consistency of information, ease-of-use for editing and maintaining, and mobile and iPad readability. I am thrilled that Robert has been maintaining the site’s content for several years now and has never once had a problem.